Outdoor advertising is the most important aspect when it comes to launch a brand and capture larger amount of passerby audience. Recently, we have shared a lot of advertising billboard mockups as well as sign mockups do check them out and download the one you like the most for you next branding/outdoor campaign. 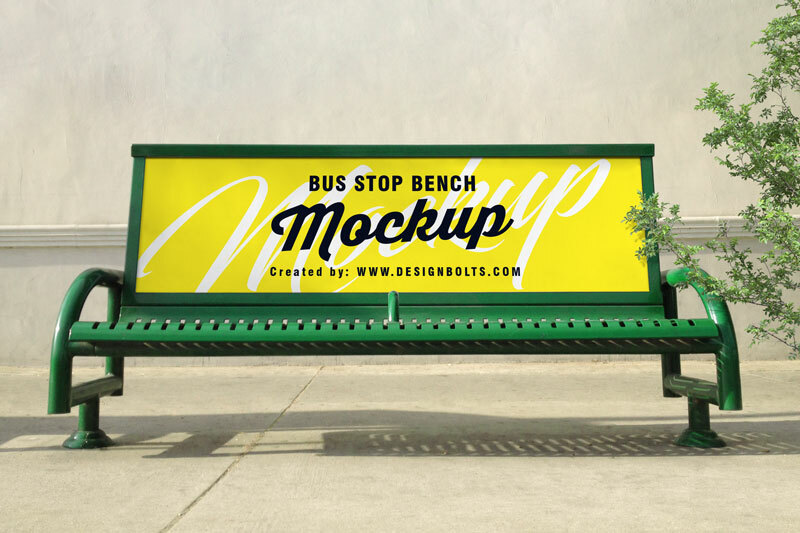 Today, we are sharing a must have bus stop bench mockup to showcase outdoor ad campaigns or use them for brand awareness. Nowadays, there are a number of options available in displaying ad campaigns including bus stop, hoarding, streamers, street banners, shop signage, wall mounted signs as well as backlit billboards. Whereas, bus bench advertising is not as common as the rest. You can use bench mockups to locate shops by adding direction marks/arrows. These can also be used to display logo and branding tagline. Most of the time bus benches are vacant and can easily be seen as they are below eye level, they are more easily readable than any other outdoor advertisements available on streets. Place your message as bigger and simplistic as possible to be read quickly. Bus stop bench advertising is mostly a low budget advertising solution and best choice for new brands and companies e.g small grocery shops, bakery shops, tea salons, restaurants, coffee shops, small start ups, home take away food companies etc. Outdoor advertising has always been a beneficial factor in launching new products or sharing seasonal and sale campaigns. 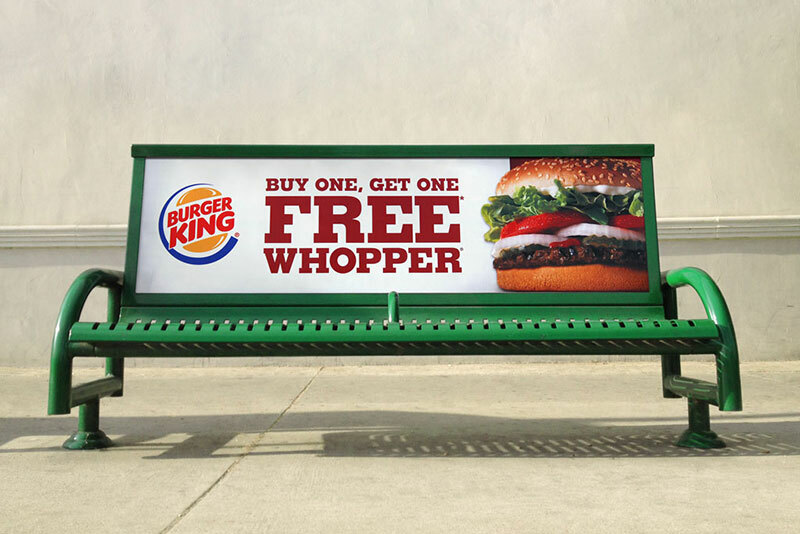 If you have low budget to start your outdoor campaign then bus bench can be a great choice to increase the foot fall for your shop.